Learn how to write programs in Python, the programming language used in hundreds of thousands of schools. This two day course relies on freely downloadable Python software so no software purchase is required. The course teaches computational thinking and programming concepts suitable for GCSE Computer Science or for simply introducing programming to your classroom. Participants will gain the skills needed to teach Programming and computational thinking in the classroom even if you have never done anything similar before. There are no course pre-requisites apart from the ability to use a computer. No prior knowledge of programming is assumed, in a friendly supportive class, this course will gently introduce you to the concepts, skills and techniques required to be a programmer and to teach programming. The course also includes tips on delivering programming courses, differential learning, peer evaluation techniques and ideas for projects. This is very much a hands on course suitable for teachers who have never written a line of code before or for teachers who have already been teaching python for two or more years. This can be delivered as a one day introductory/intermediate course, or as a two day comprehensive course. We deliver this course over two days in hotels around the country or we deliver one or two day courses in schools depending on requirements. Course attendees will leave the course ready to confidently start teaching Python in the classroom straight away. This course is a comprehensive course, not to be confused with courses that are out there that cover very little. This is ideal for absolute beginners but it is also perfect for teachers who have been learning and teaching Python for the last year or two. This course is held as a two day course in hotels or training venues at the following locations. The price is for the two days and includes lunch and refreshments. Participants are required to bring a laptop with python 3 installed. Our hotel course covers Python programming from absolute beginner through to the skills needed by students for GCSE Programming Projects and Controlled Assessments. If you are viewing this page on a mobile, hold your phone horizontal to view the full table below. We are currently booking many more locations such as courses in hotels in Reading, South East and South West of the country. Contact us to register your interest in a course being delivered in your area. If you prefer, this course can be held in your school to train your own teachers and teachers from nearby. Contact us for details. The course is delivered by David Batty, who has 25 years of classroom experience teaching computing, and has been a programmer for 34 years. David delivers courses for the AQA, OCR, Westminster Briefing, Code College and other organisations as required. He is the UK’s busiest IT teacher trainer having delivered over 100 in-school programming courses to teachers in the past year alone. Excellent course and instructions resources simple to follow. Would recommend to colleagues. Excellent program that has improved my skills and options for completing the OCR specification. Overall I found the training to be really informative and enjoyable. The course has helped me to have much more insight into the Computing Curriculum for 2015-16. Excellent course that contained a lot of information and skills development that will help in the delivery of the GCSE Computing course. Time was given to develop working models that will help with the delivery of the course. This course exceeded my expectations. It was hands-on from day one and having written over 90 programs across the two day I am more confident about Programming in Python for myself and the classroom. Thank you Dave for an excellent two-days. Excellent. Really useful. Fully interactive. Our second course. Fully recommend. Many thanks for your patience. Very useful. Good pace, good content. Currently using last week’s course to create course content for a KS3 unit. Excellent well structured course. Suitable for all learners. None stop working and learning which was great. A successful course. Thank you. Very informative course, packed with practical teaching-relevant activities and well-explained in terms of their relevance to real-world issues and the anticipated learning opportunities for pupils – time well-spent for a complete novice. The course had great resources and was taught well to ensure knowledge and skills were developed. Great course, very informative and useful. Extremely well presented course. Easy to understand and clear guidlines on how to explain to students. Thanks for a very informative day. Simply excellent, I have the confidence to deliver the course to my students! A very direct no nonsense approach to problem solving. I thought I was OK getting around Python. David has given me an even further foundation whilst allowing me to challenge my approach to delivery giving me great ideas as to how best to plan my pedagogical approach needed to engage my own students. Excellent course!! The method of teaching works very well. 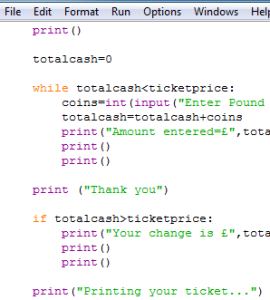 I wish I was taught programming like this at university! Pace was excellent throughout. A fantastic course which was delivered expertly. Really informative, delivered in a laid back non threatening or condescending manner. I have learnt so much in 2 days I am itching to get started in writing SOW’s for September. Thank you so much. Very good. Clear explanations of the processes behind Python Coding. Lots of resources created that could be used within lessons. An excellent course. Exactly what we needed. I really enjoy this course over the last 2 days. I have learnt so much about Python and I am continuing with this each day to get the information stuck into my head. I liked how the course went over 2 days as it gave a slow but steady pace. The best bits were trying to code ourselves and I liked how we got a look at the code for so many seconds to remember and then had to finish it ourselves. I feel I learnt more that way. excellent course with loads of help and really allowed me to get ideas for lessons! booking more training ASAP! very productive day, very happy, well worth it, I now know a number of things I didn’t which will help prepare for the course come next term. David was astute, helpful and most importantly enabled all of us to learn in a way which would benefit us. This was an incredibly useful day. As someone who only knows python by picking it up as I am trying to stay one step ahead of the kids I have developed my skills and confidence. I can also teach the students in a more professional programming method – building on skills piece by piece. Excellent session, superbly delivered with lots of concepts, resources and practical hints ready for the classroom. Consolidated the little knowledge I already and extended it. I look forward to more training in the future and have really been inspired. Looking forward to teaching it again! Very good and the tasks were easy to follow. Really informative and hands on course. Delivered and put together very well. Would highly recommend to others to attend one of David’s courses. An excellent course led by David. An excellent covering of topics within Python and excellent support towards controlled assessment queries. Fantastic, I have gone from being a complete beginner and now feel really quite confident. I’ve really enjoyed it and learnt a lot. Thank you. Absolutely fantastic training session! Learnt so much in 2 days, would highly recommend getting on one of David’s courses a superb teacher! An excellent course. Really useful and David was extremely patient and helpful. 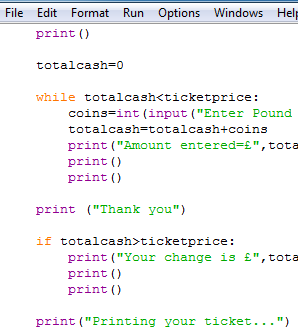 Went from absolutely no knowledge to quite advanced level programming. Thoroughly enjoyed the course and learnt a great deal. Dealt with the issues and problems I needed. Thank you. Excellent delivery of all key skills required for GCSE programming curriculum. David explained everything thoroughly to unsure each teacher developed depth in their understanding of all concepts covered. A very enjoyable course that I gained a lot from and will definitely be looking at more of David’s courses in the future! David Batty was very inspiring and supportive throughout the 2 day course. His teaching styles were easy to follow and to understand. David was extremely patient and was happy to rephrase and/or personalize his teaching to ensure all needs of the learners were meet. I would love to attend another training session if David was leading it! A well paced course building confidence in small programs to achieve quick success. There was enough time to take notes and David explained very clearly and ensured the understanding was there before moving on. The first day was brilliant the second day was much harder but covered all the sections clearly. It was great to end on something easy so my brain could cope with the drive home. I would recommend him to other schools and book David again for other courses. Great break down of subject. Good steps to create programs. Learnt new skills even though I have studied programming in the past. Easy to learn. A well organised session that was run expertly, with great examples, step-by-step work and also the chance to do some extension activities while waiting for others to catch up. A fantastic session that I will recommend to teaching friends. A fantastic course that chunked a large new topic into achievable portions. I thoroughly enjoyed learning through the various exercises and felt my knowledge grew at every stage. David was well paced and hands on in answering all questions to encourage understanding and increase skills.